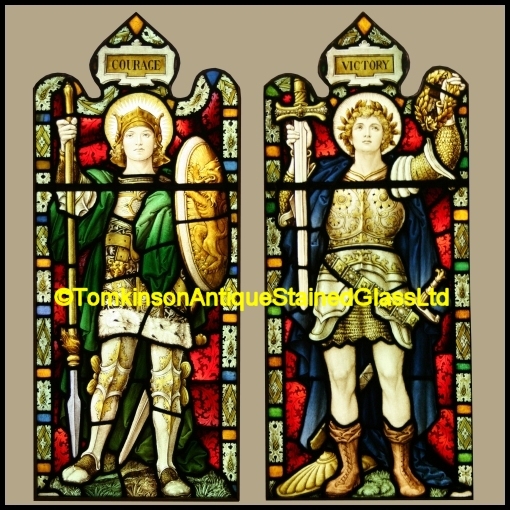 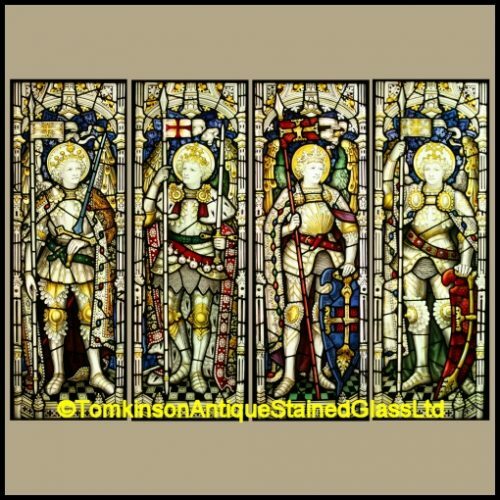 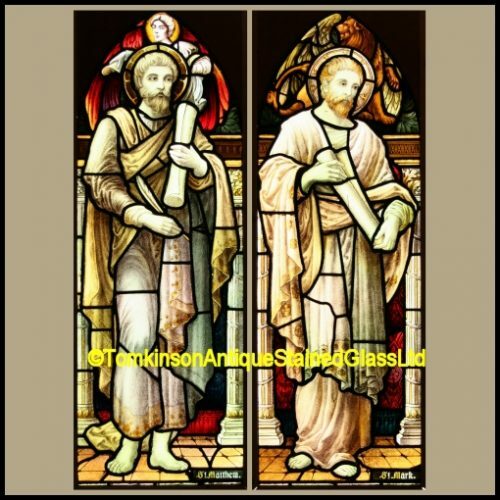 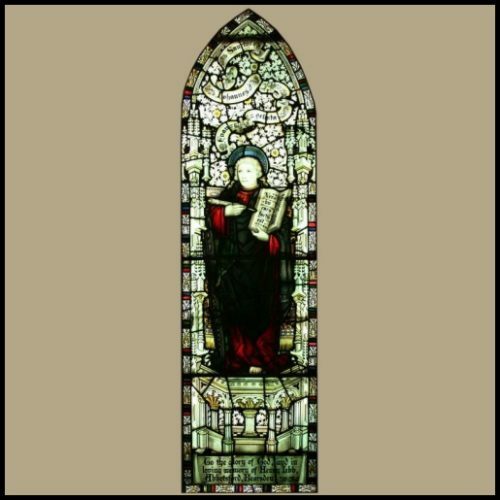 Two antique Victorian stained glass windows, each leaded with coloured glass hand painted depicting Saints. 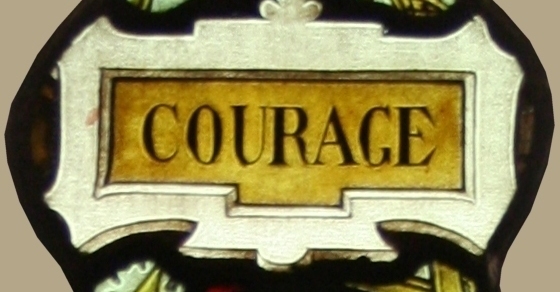 Left window is Courage, a soldier in erumin robes holding a shield with the image of a rampant lion and a spear. 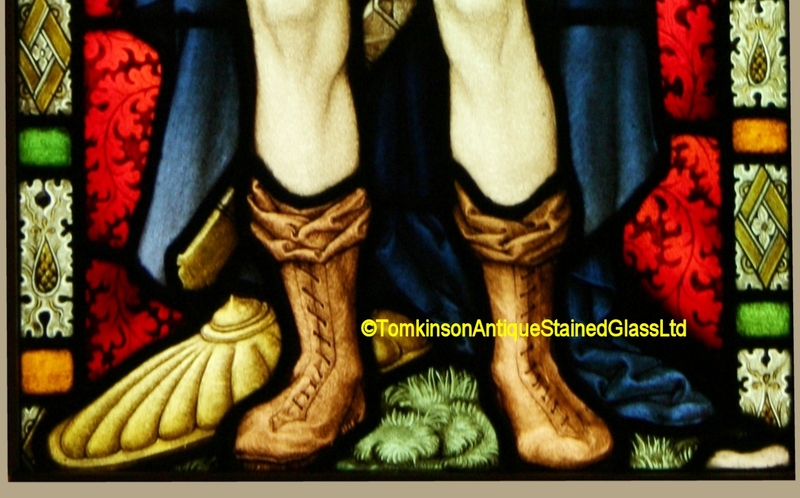 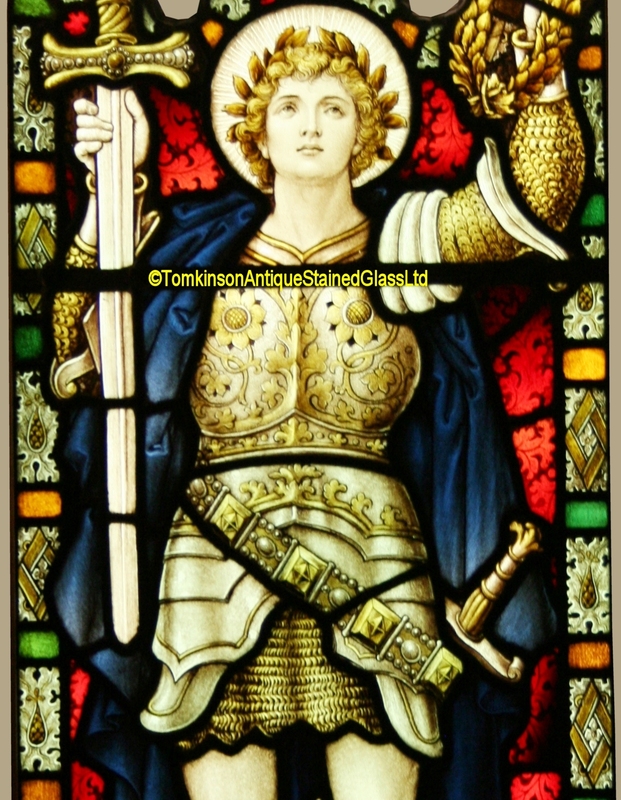 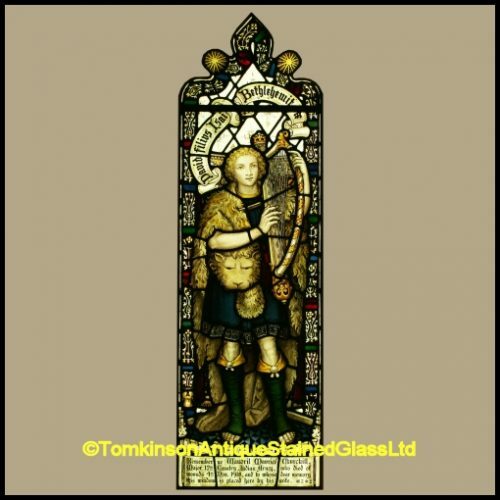 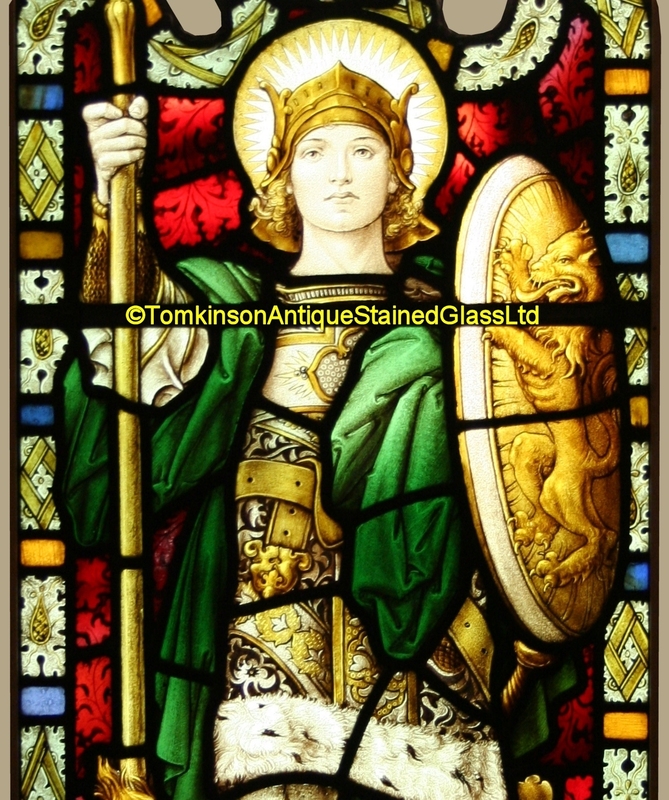 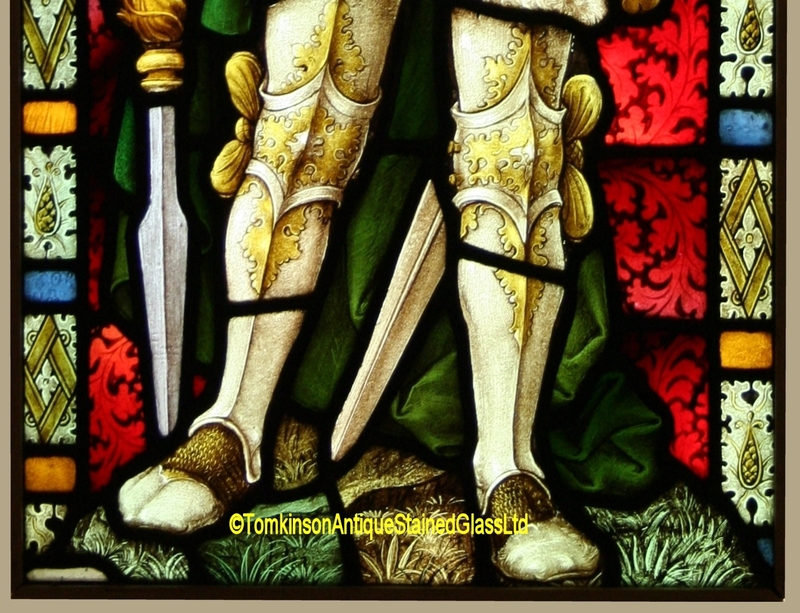 Right window depicts Victory, a soldier in armour holding a sword and a Laurel wreath. 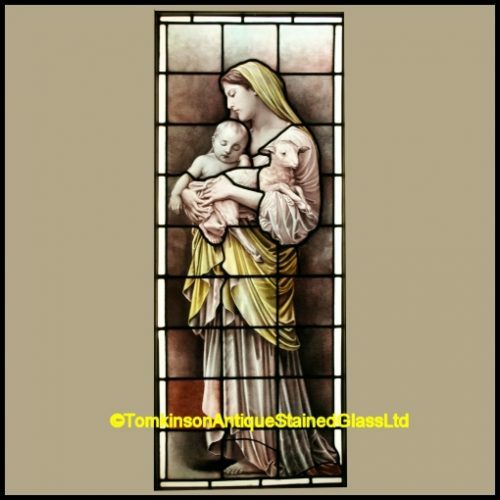 Lovely window, super quality and with lead and glass in excellent condition.